Friends, I’ve been known to travel for stationery. I will actively research a city’s “stationery scene” before boarding a plane, just to be sure I miss nothing! Sympathize with my travel companions (namely Adam) who have traversed the country in the name of pretty paper. I first happened upon Greer while visiting my friend Tayler in Chicago. Ever since, its been on my must-stop list when visiting the Windy City. If you’ve never been, you’re missing out. Chandra is a paper goddess. Her collection is expertly curated and full of surprises at every turn. I could spend hours in her lovely shop, and I never leave empty handed. If you’re not local, she has a great assortment online too. One of my favorite discoveries, is a Greer Chicago original: Civilettes. 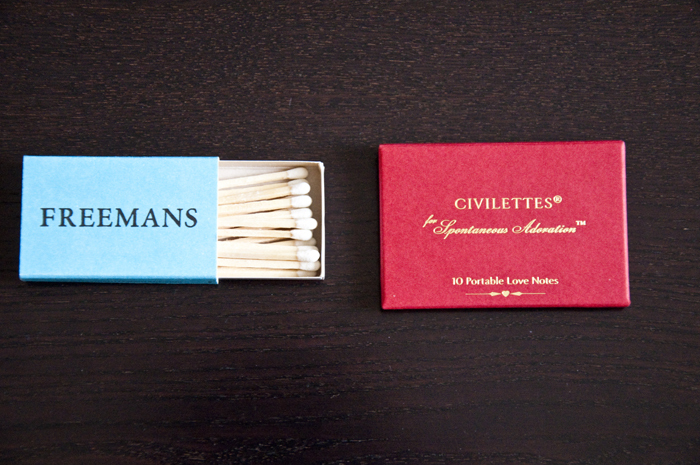 They’re small in stature (not much bigger than a matchbox), but pack a whole lotta love. Trust me. I delight in slipping these into Adam’s briefcase or sock drawer when I’ve done laundry. It’s nice to remind those you love just how you feel. 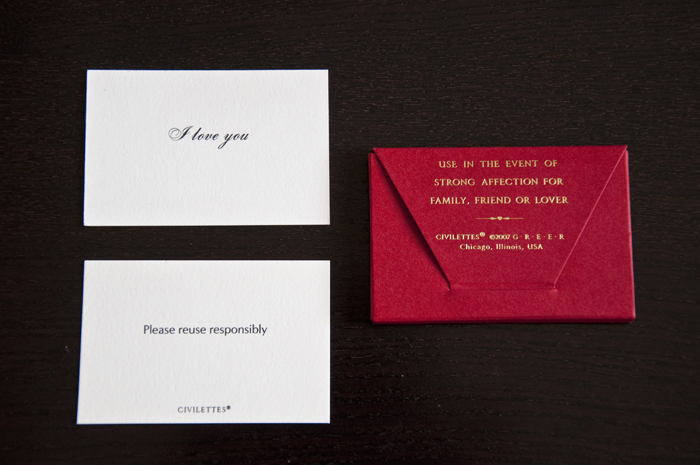 The Love Notes collection features a simple “I love you” in classy script. The back of the card warns to “Please reuse responsibly” –love that! What a lovely Valentine! Best of all, there are notes for a job well done or a simple thank you. P.S. “Civility is not a sign of weakness” taken from John F. Kennedy’s inauguration speech, is Greer’s company motto. They commissioned the ubber-talented Hammerpress to create a poster. You can buy it here!